Wildlife photography is one of the best ways to show to a broader public the values and the necessity of hunting and wildlife management. It is for this reason that the CIC seeks the help also of non-hunting photographers to help the CIC fulfill its goal for the conservation of nature and all its living creatures. The theme for the 2011 contest is: “Birds in their natural Habitat” . The selected photographs will be exhibited during the duration of the 58th CIC General Assembly, from 11 May till 15 May 2011, and they will be submitted to an international jury. The chosen photographs will be awarded with prizes. The Prizes will be awarded at the 58th CIC General Assembly at St Petersburg, Russian Federation, 11-15 May 2011. The competition is open to all professional or amateur photographers, individuals or members of clubs or associations of photographers. Only photographs of wild animals, birds or mammals, alive and free in their natural environment can be accepted. Also, generally speaking, all types of photographs considered contrary to the ethics of wildlife photography will be excluded. Photographs already submitted to previous CIC competitions will not be accepted. Each photographer may submit a maximum of 3 photographs in total. The copyright of all pictures remains the property of the photographers. Participants declare to agree that the participating photos to the competition are used by the CIC in all its publications for the benefit of the organisation or to support the CIC’s statutory goals while mentioning the photographers name. 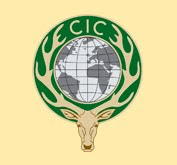 This a very good content about CIC International Competition on Wildlife Photography. Wildlife photography is one of the best ways to show to a broader public values and necessity of hunting and wildlife management, It's main reason that the CIC seeks the help also of non-hunting photographers of nature and all its living creatures.Thank you.